Food combining enhances the quality of your diet, increases your intake of vitamins and minerals and improves the way the body digests and absorbs nourishment. It is one of the safest and most successful ways to lose weight as well as being an invaluable, natural remedy for a variety of health problems. In her new definitive book Kathryn Marsden explains everything you'll ever need to know about food combining in one easy-to-follow volume. 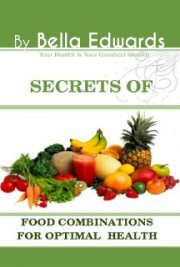 The book is divided into 4 parts: Part 1 Essential basics including principles, short cuts, food charts etc; Part 2 Food combining for specific reasons ie. weight loss, food allergies, fluid retention, low blood sugar, stress etc; Part 3 Four weeks of food combining recipes and menu plans.